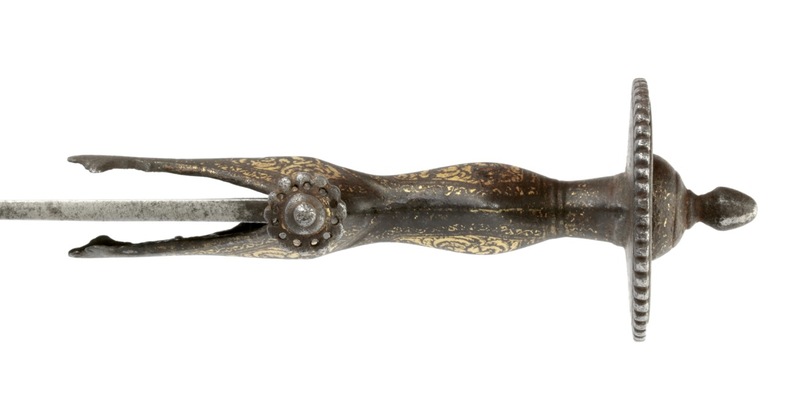 Materials: Iron, steel, gold, wood, leather. 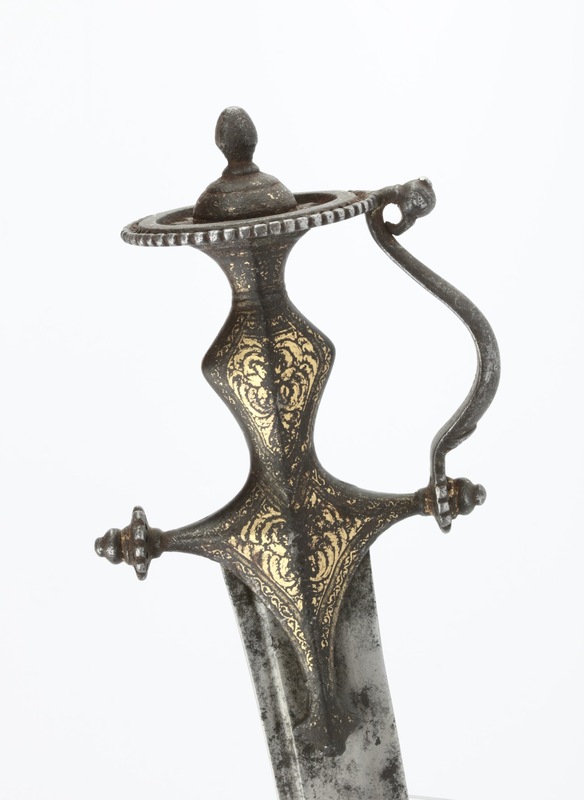 An Indian talwar with curved hollow ground blade with a narrow dorsal groove and false backedge. 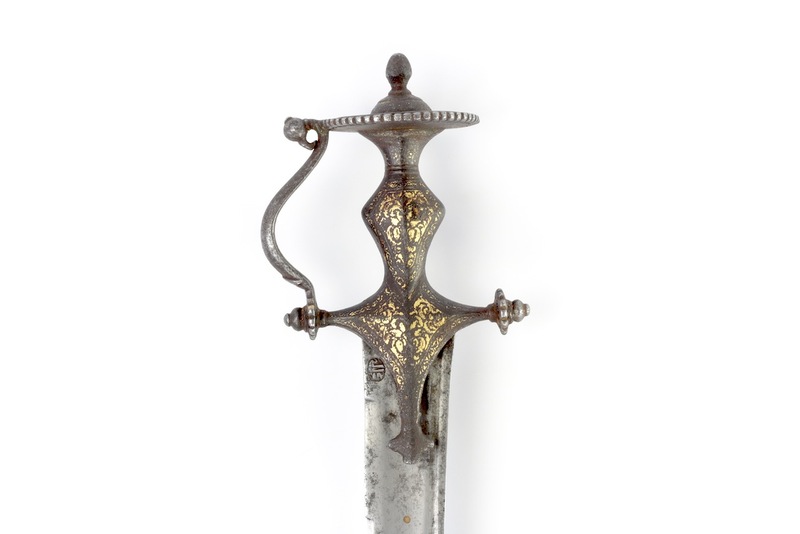 The blade with a brass dot inserted in the blade at the base, visible from both sides. 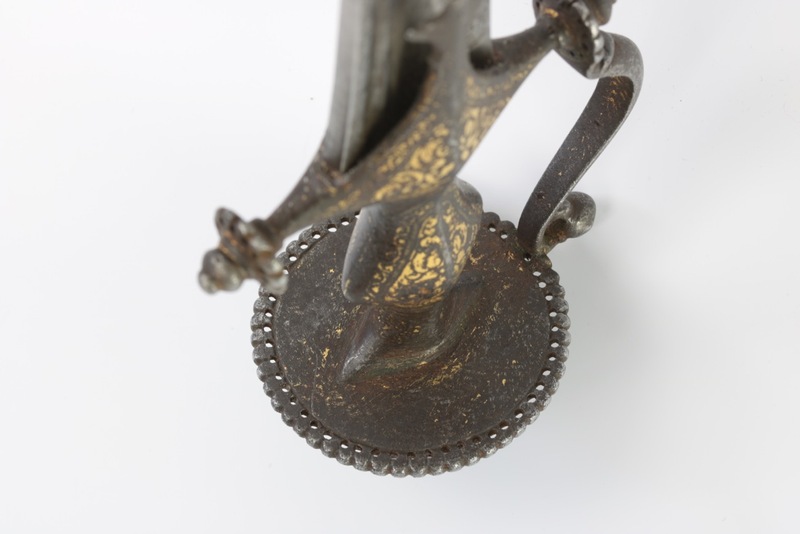 The right side is stamped with a maker's mark near the base with some abstract stamps further up the blade on this side. 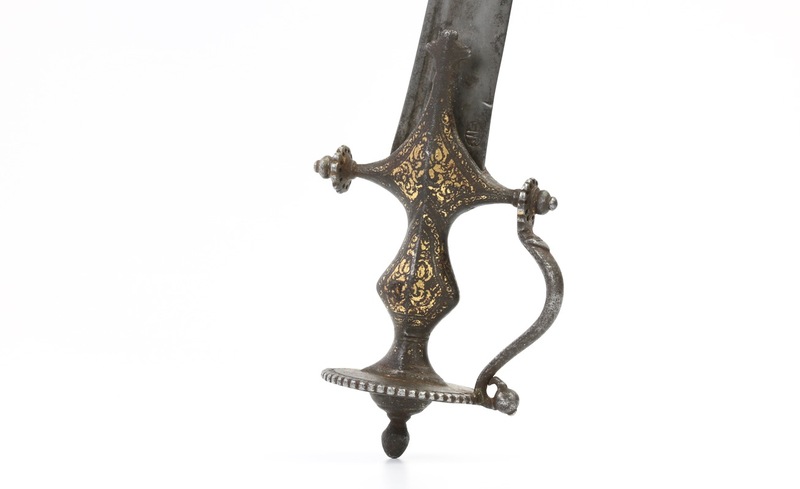 The blade in unrestored but good condition, no nicks, cracks of losses in the blade's contour. The steel is stiff and springy, with only minor pitting. There are traces of a forge folded construction. 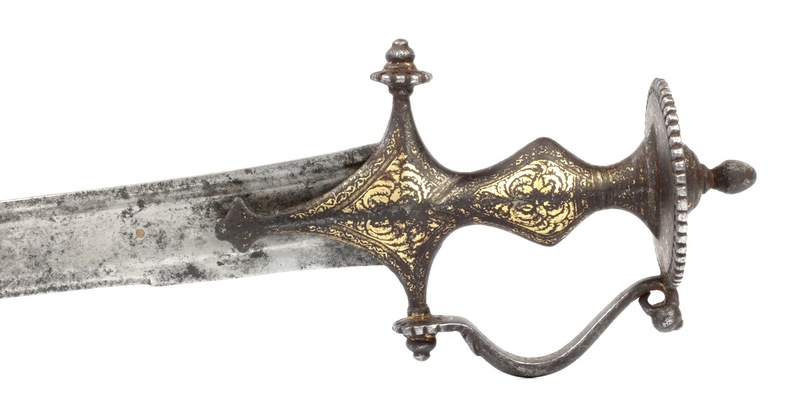 It has a knucklebow resembling the "stirrup hilt" found on European military sabers from the 18th century. 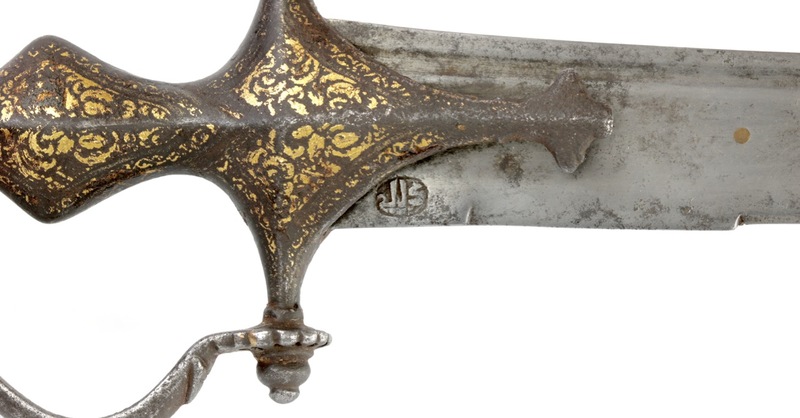 The end of the guard is shaped like the head of a parakeet, a common motif on Indian arms. They were revered creatures presumably because -like parrots- they can learn how to speak and were sometimes able to recite parts of Vedas chanted in temples by worshippers. 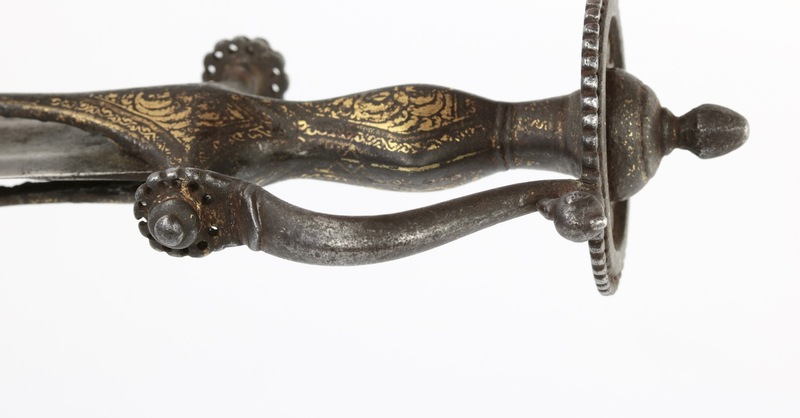 The bird is also associated with the goddess Andal, a Tamil poet and saint devoted to Vishnu. 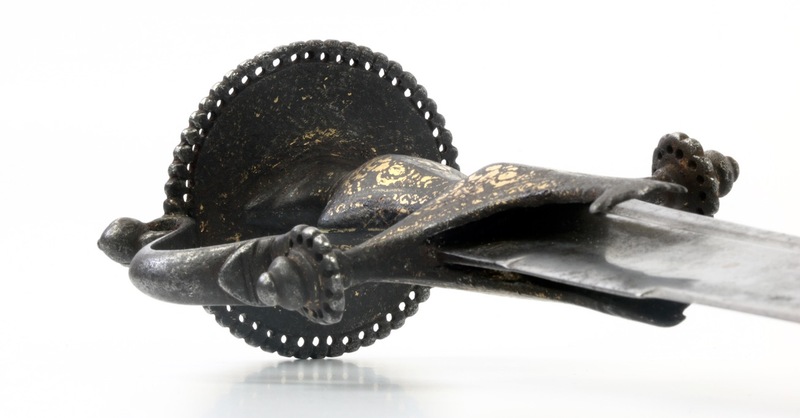 The hilt is decorated with gold damascening of floral motifs and there are also remains of golden chevron decor on the inside of the knucklebow. 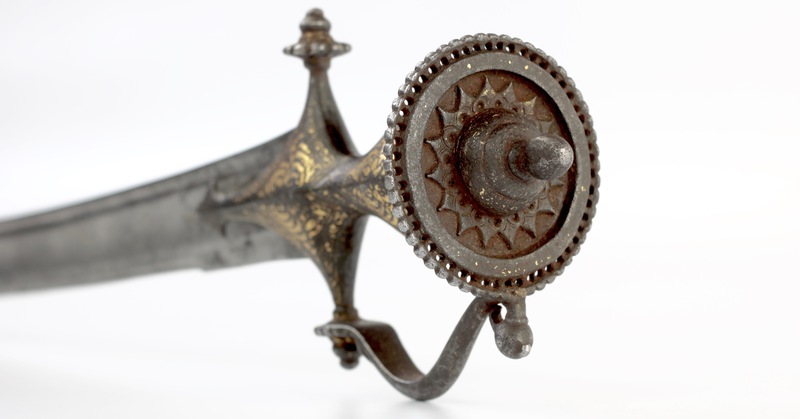 An interesting talwar with a rather unusual hilt with pierced and beaded rims, work that reminds of the arms associated with the Tanjore armory. 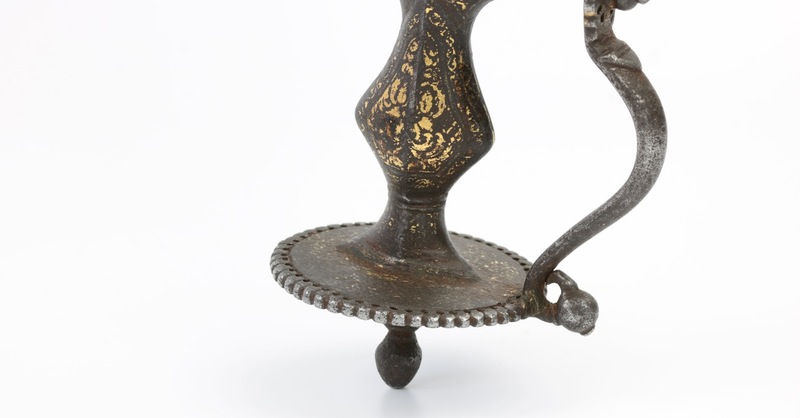 The piece is probably "inspired by" rather than actually made in Tanjore. 1. 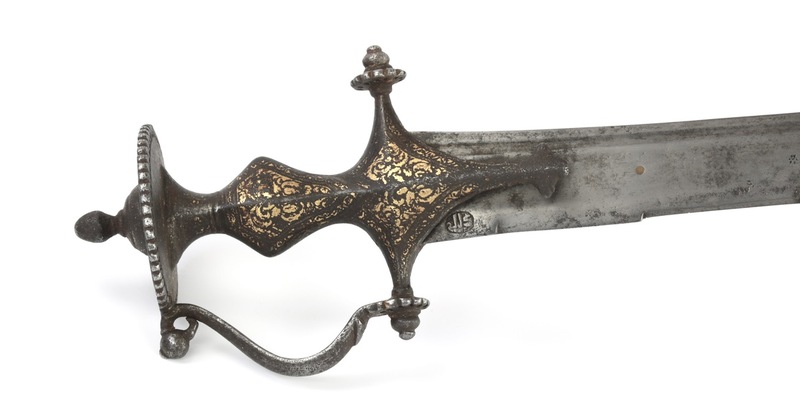 Thanks to Peter Willems of Helgot for bringing this sword to my attention. Copyright Peter Dekker and Philip Tom, 2006 - 2017, all rights reserved. Photos are in the Public Domain and can be freely used for any purpose. By placing an order, you are accepting our Terms and Conditions.